The set of student topics is in detail described in the PDF. Overall, the topics span a wide range of interesting aspects in 3D computer graphics, such as rendering, simulation, visualization, and visual analytics. 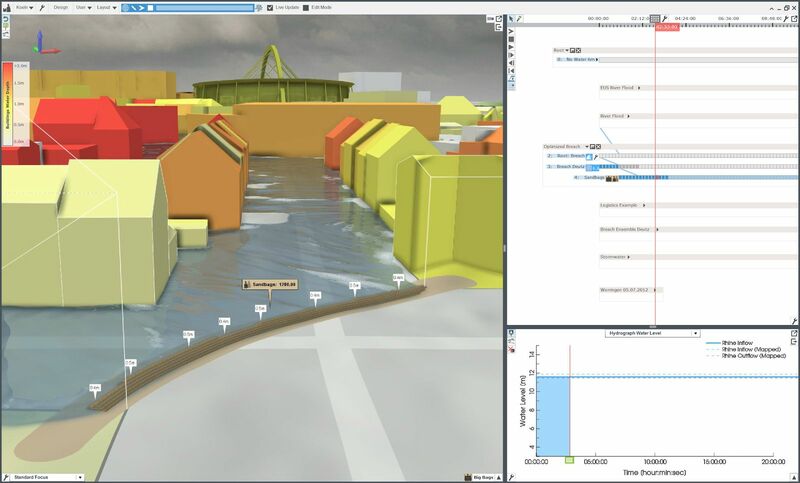 The main goal of Visdom software framework is visual decision support based on simulation scenarios in the context of disaster management and all described projects are tightly connected to this topic. Students will need to design a particular solution related to one of the described tasks and integrate this new feature into the Visdom system. The project should be implemented as a plugin into the Visdom framework unless agreed on otherwise with supervisors..
For more information please contact Jürgen Waser (jwaser@vrvis.at) or Eduard Gröller (groeller@cg.tuwien.ac.at) or Ivan Viola (viola@cg.tuwien.ac.at) or Michael Wimmer (wimmer@cg.tuwien.ac.at). Last update by Ivan Viola on 13. Mar 2018. Comments to viola (at) cg.tuwien.ac.at.